It all started with a conversation with a friend, me wanting her advice on something. When I go-to people for advice, I usually already have my mind made up about what I'm going to do and I simply want them to reaffirm it. But this time when I went to my friend, I didn't know what I wanted. She told me what she thought I should do, but I wasn't convinced. I still didn't know what decision to make. In my indecision, I had an idea, I was simply going to do nothing. I don't know if I was being smart or if I just really didn't want to make a decision but it was in that moment that things changed. I learned how sometimes silence speaks volumes. Sometimes it is in the act of not doing that you learn just how important something is to you. Say I normally talk to my mom every day on the phone; in the moment those conversations may seem simple and meaningless but try not doing it for a week, you'll realize just how much you missed it and it will make you cherish those phone calls a little more. You'll hang on to her words a little tighter and feel the "I love you" a little more. I recently took a little break from blogging. 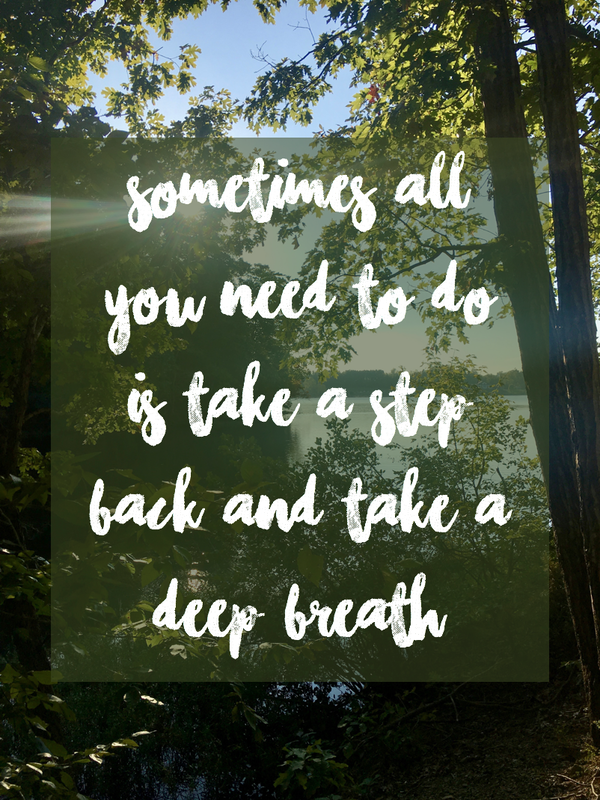 My life often gets to be a lot, I get bogged down and overwhelmed at times, it's difficult to balance school, work, extracurriculars, and a blog. But every time I take a break from blogging I come back more excited about it than ever. I come back full of new energy and light, ready to put my all into every post. And I think that's how I know I love it, I can't wait for the next opportunity to spend working on it. I'd never have that fire and excitement if I didn't remove myself from it. It's those little breaks that help me to keep going. But I think this also works well for boys. We've all gotten caught up in a moment thinking that some guy is perfect, that he is your prince charming only to realize later on that he's far from it. Sometimes I think it's good to distance yourself so that you can decide how you really feel about them. See how they act around others and how they treat you when you're not always just conveniently there. 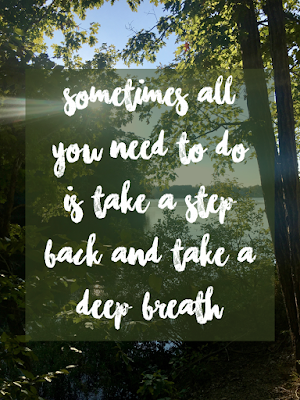 Taking a moment to just step away from the situation can offer you a lot of clarity, an opportunity to look, evaluate, and decide exactly what you want. I'm not saying that you shouldn't live your life in the moment just that sometimes you need to take a conscious step back. Life is confusing, life can leave you lost and we all need a way to find clarity.